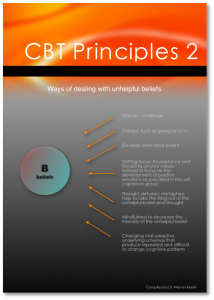 The following section gives you an overview of the principles that are used by the London Counselling & Therapy Service. A core principle is to offer all clients the choice to work therapeutically for as long as they wish. There are no limitations on the amount of sessions a client has; duration and quanitity of sessions is tailored to the individual needs of the client. We do not pigeonhole clients and impose ways of working with them that have been selected already before getting to know the client. This approach allows us to deal with whatever issues clients may present. 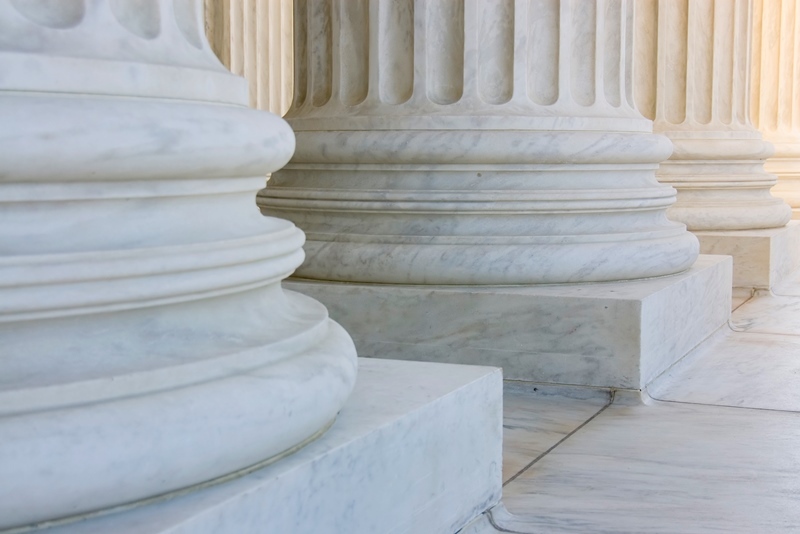 Another important principle is our integrated framework. This means that we use the most effective approaches with respect to current research into counselling and therapy. An overview of these approaches is given further below on this page. Moreover, research shows that the quality of the relationship between therapist and client is absolutely crucial in making therapy work; therefore the quality of the relationship between the practitioner and client occupies a central place. 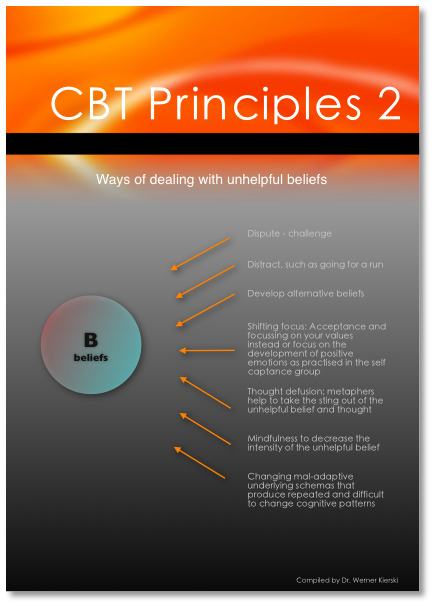 The approaches we draw from in the integrated framework include: schema therapy, cognitive behaviour therapy (CBT), mindfulness based approaches, acceptance-commitment-therapy, compassion focused therapy and person centered and relationship-based approaches. Many studies have shown that the quality of the relationship between you and your therapist is hugely influential to a positive outcome of therapy. This relationship is even more important than the theoretical model the therapist uses. Schema therapy addresses old underlying emotional schemas that have become life traps. These feel like automatic patterns that you may know well but you may feel these patterns are too strong to change. The emotions these schemas bring up are often stronger than our thoughts. A very effective approach, as confirmed in many studies, to shifting or changing thoughts and views that make us anxious, insecure or depressed. ACT is based around understanding our personal values and on getting us into connecting to our values more effectively, which allows us to make decisions that may be difficult but important and meaningful. Compassion focused therapy addresses shame and patterns that make us overly rigid with the demands we impose on ourselves; demands that in the worst scenario can lead to depression. In the image on the right you see how our emotional and cognitive processes are interconnected. In it the A stands for an activating event (A=Activation), such as a workplace problem or a physical sensation in the body or a memory. 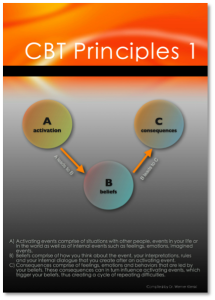 The B stands for beliefs (B=Beliefs), which is the way we think about the event. This way of thinking may be very intellectual or it may be a very emotional way of thinking. 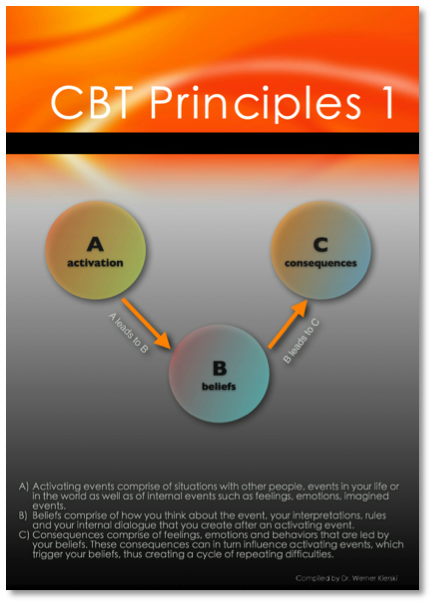 The C stands for consequences (C=Consequences), which is the way we feel and behave following the activation of our Beliefs (B). And it is the B where we potentially cause ourselves a lot of anxiety, fear, low confidence and depression. Therefore, the B needs to change in order to reduce the difficult consequences. Our integrated framework offers a number of ways of doing this, as shown in the next graph.